On March 17th, we’re all Irish! 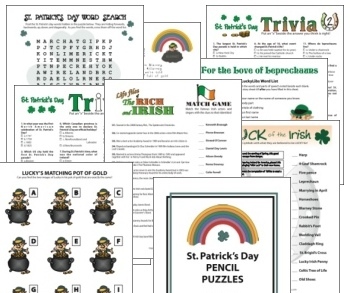 We’ve put this St Patricks Day Party page together to help you have the best time at your party, and to find all things Irish! For many, St. Patrick’s Day is spent at the local pub, having a few pints with their mates. However, others like to stay in, keep off the roads, and celebrate in their own fashion at home! Good Luck! Try these fun Printable Party Games! Add Green food coloring to any beverage or ice cubes for a fun green drink!